Are you new to the realm of social media? Does it all seem a bit overwhelming? Good news, it doesn’t have to be! 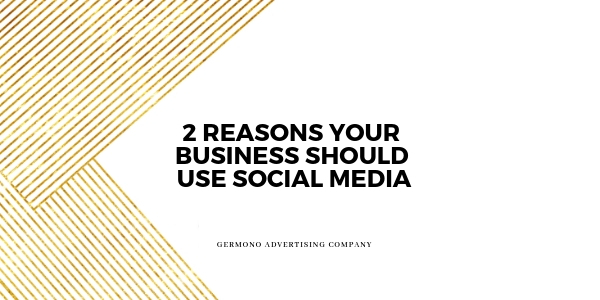 Let’s talk about a couple of ways social media can be beneficial to your business and why it’s important to have an online presence in today’s digital world. A great personal experience for your customer is a priority for any business. You put a lot of work and care into building relationships with those customers to keep their business. However, what happens after they leave? Social media is a wonderful way to continue building those relationships or begin new ones! It gives you the opportunity to have personal, but professional, interaction outside of transaction. (Like the chef visiting your table at dinner!) You can build a community around your business outside of business hours with your profile or online group. One of the most useful features of any social media platform to incorporate a personal customer service touch is the messaging option. It opens you to communicate and answer questions at better convenience for them without having to track emails and you can skip phone tagging. Allow social media to be a helping hand rather than another task on the list! Now what’s the one thing we can all welcome more of? New customers! There are many social media platforms that allow you to be discovered by new potential customers. Facebook, Instagram, and Twitter all have discover features to help people find your business in ways that they otherwise would have never known about. In a time where flipping the yellow pages to find what you need is obsolete, it’s important to have an online presence for those who are visiting, new to the area, or just passing through. With pictures, articles, videos, menus and more, your social pages serve as the perfect preview to your business. There are 2.27 billion monthly users on Facebook alone. Why not get a piece of that pie! Yes, it’s a lot to take in at one time, which is the most common reason we hear in why you may not want to dive in. There are so many platforms to choose from. Remember that good news I mentioned before? Here’s more… you don’t have to be on all of them! Each platform has its own perks, so start with one that compliments your business best. Does your business have great visual aspects? Try Instagram. Do you have helpful quick tips to share with your clients? Try Twitter. Do you host events or classes? Facebook will be perfect. Do you work business to business? LinkedIn is for you! You don’t have to be “all in” from the beginning and you can always add more later once you’ve started, but first, you have to start somewhere.